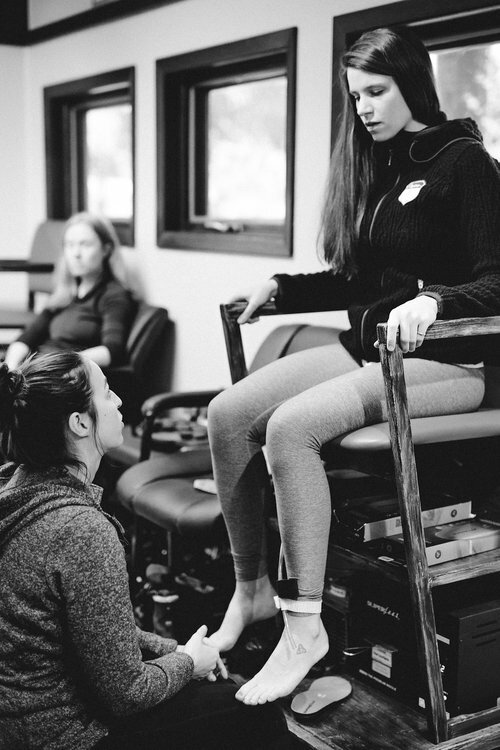 Powder Hound offers boot fitting at the Master Fit level. 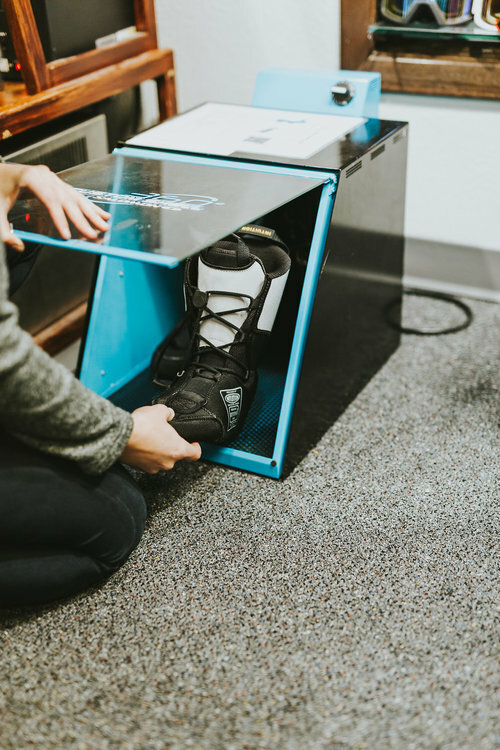 With expert boot fitters to pick out the perfect boot that matches your unique shape, ability level, and means of snow travel, we have designed a program to assist you in your endeavor to be a better skier or rider. 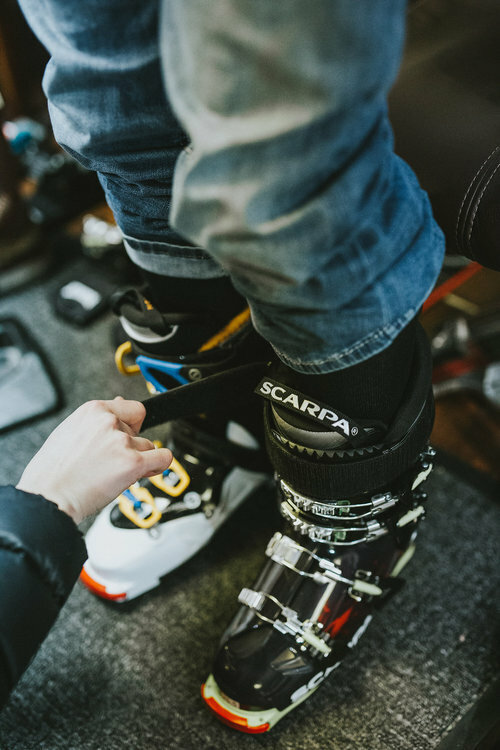 A properly fitted boot is the connection between your body and the ski, making them a crucial part of the performance formula. Our ski in ski out location is prime for boot fitting. If something isn’t feeling right, stop on by and we can help you out and send you back out on the slopes. Because of how footbeds support your foot, a custom footbed can actually give your foot a shorter, narrower profile, so that you can fit it into a smaller sized boot for an even closer, snugger and more precise fit. Our qualified boot fitters will mold the footbed directly to the contours of your feet. All types of foot benefit from custom footbeds improving comfort, performance and weight distribution, align the lower leg while decreasing fatigue, impact and shock. A typical stock liner can pack out in a matter of weeks. Intuition liners are especially useful for skiers. Our custom boot fitters heat and mold the liner to your foot. This gives your boot an even more custom fit. Not only does molding speed up the breaking-in process, it gives you a more comfortable and responsive fit. After about a week of skiing, they'll be fully molded to your foot. Boot punching or stretching minimizes pressure in your boot. Common issues that cause pressure in your boot are bunions, Tailor's bunion (6th toe), wide forefoot, ankle pressure, Navicular pressure, and/or heel spurs. This process makes a massive difference when it comes to the achieving the perfect fit. We offer a wide range of ski boots to target all types of feet, abilities, and disciplines. 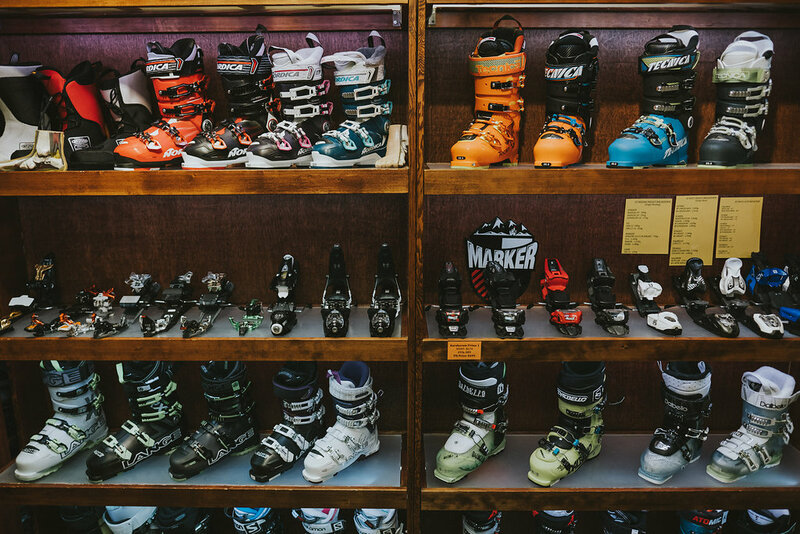 Your boot fitter will get to know your personal relationship with skiing and find the perfect boot for you! In addition, buying a boot from us comes with FREE boot punches for the life of your boot! Once the correct shell has been selected and a supportive custom footbed has been produced we will look at the ski boots cuff alignment and canting. 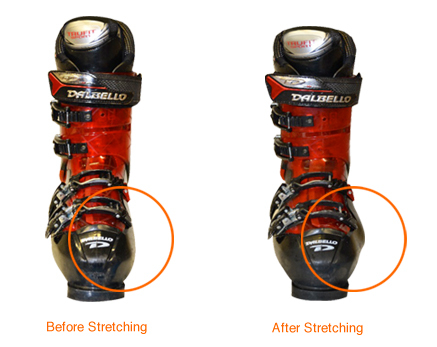 We can do this by shifting/adjusting the cuff at the rivets that connect it to the ski boot clog or by adding plates to the base of the boot followed by routering the heel and toe lugs. In some cases, canting wedges can be added inside the boot if further correction is needed. The perfect solution here is your boots run perfectly flat to the ground/snow helping you edge.